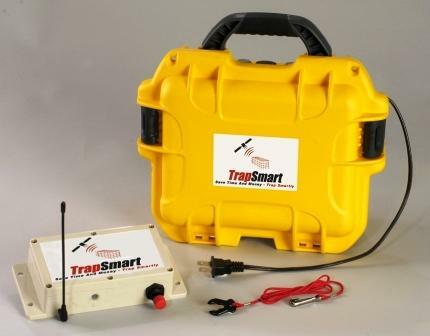 Trapsmart enables remote monitoring of multiple traps using advanced GPS technology. Trap sensors can be retrofit to any Tomahawk trap. The sensors send email or text messages to the trapper's cell phone when the trap door closes. For each location you need one control unit and a single sensor unit for each trap that you wish to set. You can set any number of sensors/traps you like within a 500 foot range of the control unit. There are two versions of the Trap Monitoring System. Both versions transmit using 3g cellular technology. And both versions come with 4 trap sensors. Additional sensors may be purchased. The “Basic Unit” runs from a 120v power source. The "Plus Unit" uses either 120v power or rechargeable batteries. Every control unit will incur a monthly charge of $27 for the broadband connection and monitoring system. This may either be paid on a monthly basis by automated charge to a credit card or by the payment of an annual invoice. The communication can be to cell phone, email or central support site. The control unit comes with a 12 month warranty. A two year extended warranty can be purchased with the control unit for $100. Impacts profitability dramatically! Reduces visits by 2-4x per job. Ability to use multiple traps increases speed of capture greatly. Creates the opportunity for additional pest and wildlife control work. One control unit manages any number of sensors within a football field length of the unit. Retrofit capability for existing traps. Units designed for both indoor and outdoor use. Communicate with cell phone, email and central support site. TS100 TrapSmart sensors can be retrofit on any existing wildlife traps. The sensors send email or text messages to the trapper's cell phone within minutes of the trap door closing in any one of the cages it controls. 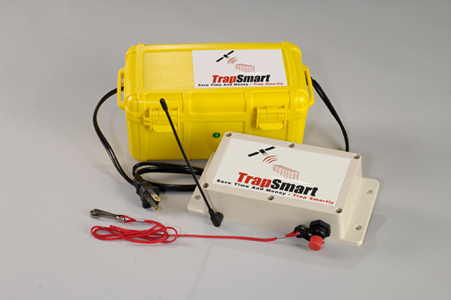 TS101 TrapSmart sensors can be retrofit on any existing wildlife traps. The sensors send email or text messages to the trapper's cell phone within minutes of the trap door closing in any one of the cages it controls. TS102 TrapSmart sensors can be retrofit on any existing wildlife traps. 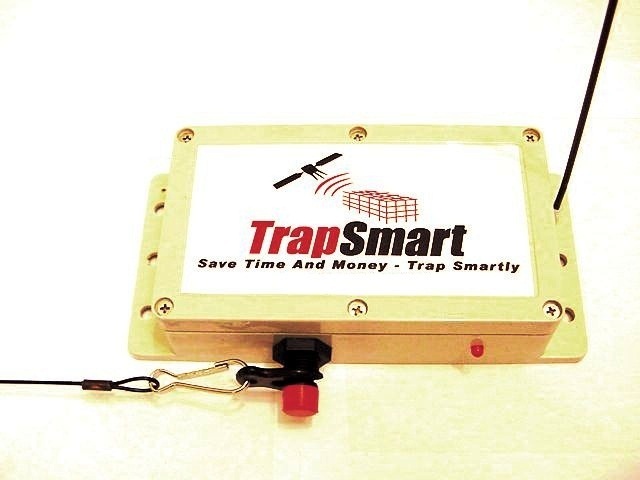 The sensors send email or text messages to the trapper's cell phone within minutes of the trap door closing in any one of the cages it controls. TS103 he control unit comes with a 12 month warranty - a 2 year extended warranty can be purchased with the control unit for $100.